1) Behold, the Kronnerburger. 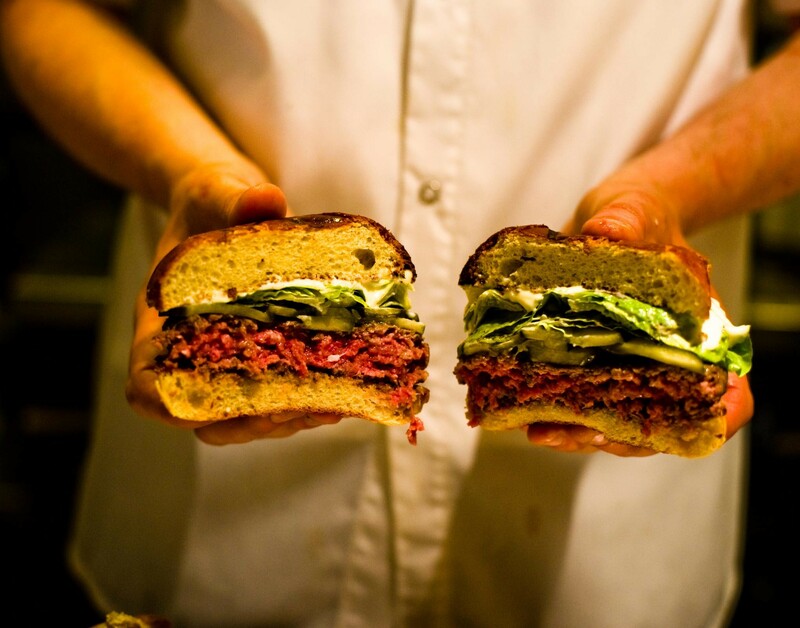 After numerous delays, and years of working the local popup circuit — Chris Kronner, eponymous creator of the aforementioned burger — will open his Oakland brick-and-mortar restaurant today, according to Tablehopper. As previously reported, the menu at Kronnerburger (4063 Piedmont Ave.) will offer a lot more than just burgers — though, make no mistake, there will be burgers, with several variations (including a pork burger made from Mangalitsa pig, perhaps the fattiest of all the heritage breeds) beyond the standard, and wildly popular, Kronnerburger. Meanwhile, the old J’s Mexican-American space has had quite a makeover — Eater ran a bunch of photos, and damn if that isn’t a lot of marble. For now, the restaurant is just open for lunch (11 a.m.–3 p.m.), with brunch starting over the weekend (10 a.m.–3 p.m.), and dinner service beginning next Tuesday. 2) Over in the Montclair neighborhood, Chowhaus (6118 Medau Pl.) will softly open as early as this week. Chef and co-owner Tracey Belock (formerly of Tribune Tavern and the now-shuttered Disco Volante) told me that today is the restaurant’s “final final final” inspection, and if all goes well, they’ll serve a few soft-opening breakfasts this week, with lunch and dinner service to come soon after that. For details about what the owners intend to be an open-all-day community gathering place, check out my preview from last summer. 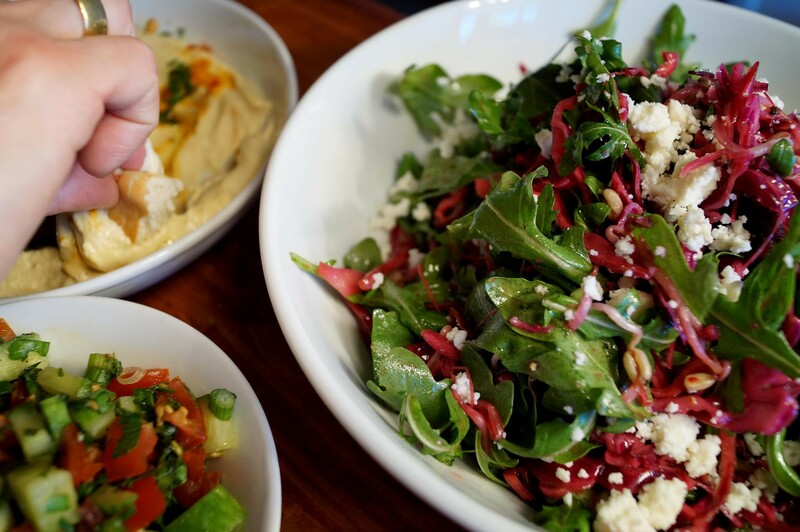 3) Inside Scoop reports that Ba-Bite, a new Middle Eastern restaurant in the old Pizza Pazza space at 3905 Piedmont Avenue, is now open with a menu that’s notable for its focus on composed salads. Are we entering a new golden age of Middle Eastern food here in Oakland? At the very least, with the recent openings of Ba-Bite, Ali Baba (the subject of last week's restaurant review), and Oasis Grill, we now have a lot more options. 4) Dorsey’s Locker (5817 Shattuck Ave.) and Art’s Crab Shack (4301 Broadway), two of North Oakland’s longest-running restaurants, are shutting down, both taken over by new — and perhaps more deep-pocketed — owners, Inside Scoop reports. It appears that Dorsey’s Locker will become Blue Bay Bar & Grill, a hybrid Bahian and soul food restaurant with an emphasis on seafood. Meanwhile, Ben Weinstein, a well-known local developer, is the new owner of the former Art’s Crab Shack, but has yet to announce his plans for the space. 5) As part of its transition to an all-Sicilian menu, the restaurant formerly known as Dopo (4293 Piedmont Ave.) — now called Palmento a Dopo — is hosting a series of Sicilian winemaker dinners. The first event, featuring Francesco Ferreri of Valle Dell’Acate, will take place on Monday, May 11. 6) If you haven’t made your Mother’s Day plans, East Bay Dish has a nice rundown of East Bay options. For those who figure you might as well get your money’s worth if you’re going to drop $50 per person on brunch, maybe consider Lungomare’s all-you-can-eat brunch buffet. 8) Finally, ICYMI, a Nido chef is raising money to start a farm-to-table taco cart, and food justice activists in Oakland hope to launch forty urban gardens in forty days. Also, Souk Savanh, a Lao restaurant in East Oakland that was supposed to be the subject of this week's food review, was shut down late last week after a health inspector discovered a leaky grease trap.